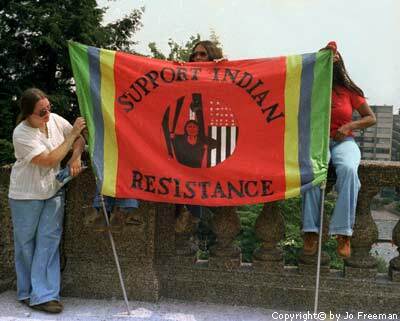 Roughly two thousand people, evenly split between Native Americans and their supporters, completed a five month march from San Francisco when they entered Washington DC on July 15, 1978. After stopping in Meridian Hill Park for a rally, they ended the 2,700 mile journey at the Washington Monument. 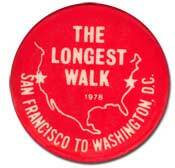 Almost two dozen people had walked the entire distance. 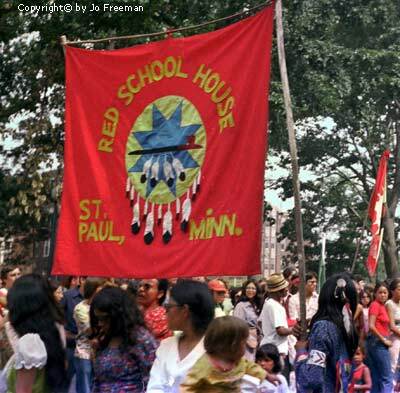 Although the entire effort was run by a coalition of more than a hundred Native American tribes and groups, it was planned and organized by the American Indian Movement (AIM) because it felt that Native water and land rights were under threat. 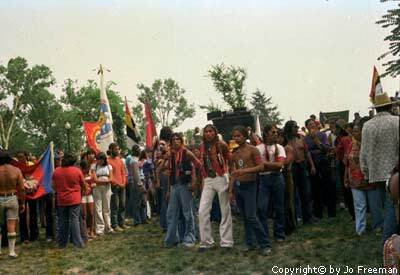 The purpose of the march was to protest and lobby against eleven bills before Congress that Indians felt would alter treaties between the US government and various Native tribes. Some of these bills would have restricted tribal government, limited some hunting and fishing rights and closed Native schools and hospitals. Most were introduced by Washington State representatives, in response to several court decisions favoring Native Americans. While they had little chance of passage, their introduction was seen as ominous. During the week of demonstrations, lobbying, tribal ceremonies and workshops most of the 2,800 participants camped out at a federal park in Maryland. After the first day’s walk to DC, busses brought them in for each day’s events. The busses were paid for by the federal government, as were Army field kitchens, tents, water tanks and other logistical support. Officials estimated that all this cost the taxpayers $250,000. In addition, several church groups contributed money for food and other necessaries. By July 27 everyone had left the park and gone home. 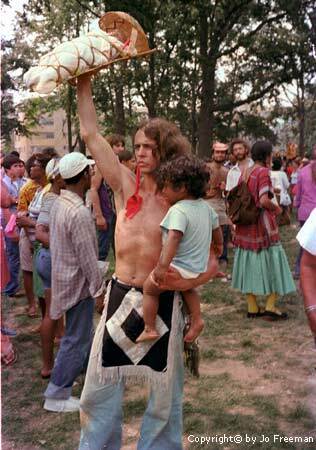 None of the proposed bills which had provoked the protest were ever passed by the US Congress.